The thumb represents the element of fire, and here it is activated with strength. When we stimulate the element of fire, it is to burn through mental and physical fatigue. Linga comes from the root sound lin meaning to dissolve. 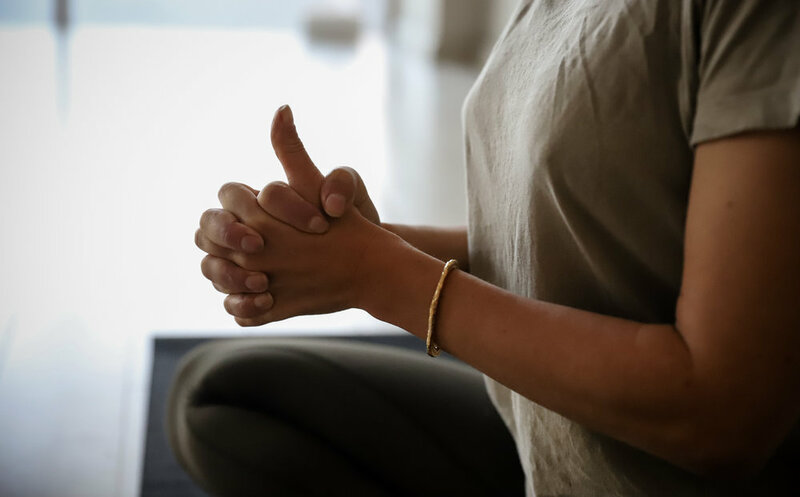 With the right thumb extended, this is an energising and heating mudra that brings the necessary element of fire to shift out complacency, sleepiness, lethargy to open up space for new, fresh, positive energy. A mudra to set in to motion the wheel of dharma - your lifes purpose and the cycle of life. It strengthens focus in order to maintain a positive attitude as it calms the mind and elevates it to a higher plane. 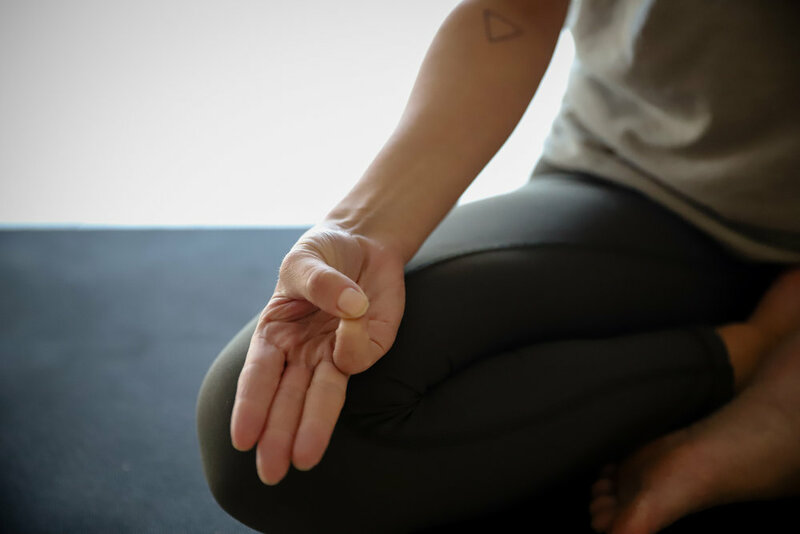 In taking this mudra it could be a helpful addition to allow your mind to open to all possibilities with no limitations. The left hand faces the heart, the inner self and the right hand is open toward open to the body is the surrounding world. It is a mudra most representative of the cosmic order of the heart, said to be offered by Buddha in his first teachings. Another fiery mudra, this one to improve the element of fire in the body to support digestion and metabolism. Surya representing the quality of digestive fire. Not just our food, but our ability to digest and metabolise everything coming through our senses. This mudra can have the effect of increasing core temperature so great for warding off colds and reducing heaviness in the body. For opening up the flow of intuitive information and the messages from your higher self by creating a container of discernment and intellect in the mind. This mudra opens up the flow of water, your flow of understanding and your ability to understand the puzzles of symbols, dreams and messages from your higher consciousness. An increased ability to communicate is a result of this mudra. A gentler short 6 minute practice to add to your Sadhana. This sequence is for your circulation, however more importantly your nervous system. If you are having difficulty settling in this can be a helpful, short practice to incorporate. Surya Namaskar A and B. To invoke the sun in you - your vibrancy and vitality. Bring heat warmth and light into your body and mind, moving your circulation, lymph and waking up the digestive system. A meditation to completely recharge you. Clearing negative energy, dissipating depressive thoughts and offering you the capacity to cope with the dynamic nature of life! A meditation for inner strength and focus.